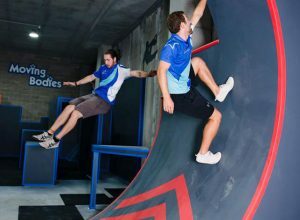 Sydney Ninja Warrior Course. School holiday programs and clinics. 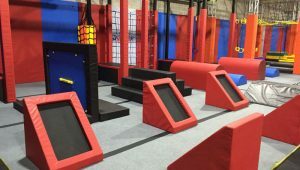 Kids Ninja Warrior course Sydney open for school holidays and weekends. 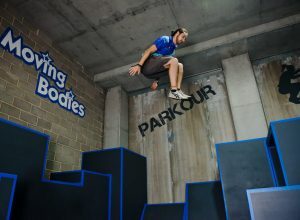 Our new Ninja Course has a HUGE range of obstacles for you to commit and conquer! 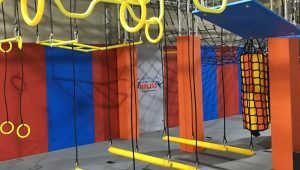 Take on our various sized warped walls, cargo nets, floating doors, rope climb, floating steps, spider wall, peg wall and loads more! 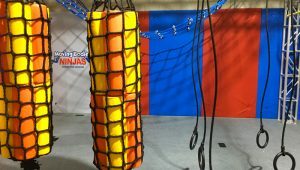 OUR MINI NINJA AREA IS NOW AVAILABLE FOR WEEK 2 OF THE HOLIDAYS! – Primary School aged students MUST have a parent/guardian on the premises for the duration of the session. Maximum number of primary children per adult is 4. – High School aged students do not require a parent/guardian, however must read and sign a consent form. 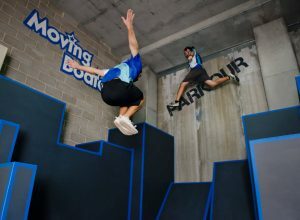 We are conveniently located at 6/2 Marina Close, Mount Kuring-gai (Hornsby). There is plenty of off-street parking adjacent to the Centre. 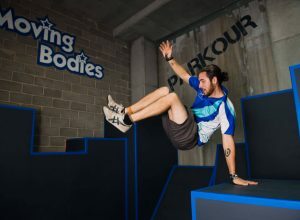 The team at Moving Bodies aim to make exercise and fitness fun for children and adults of all ages – from babies to seniors. 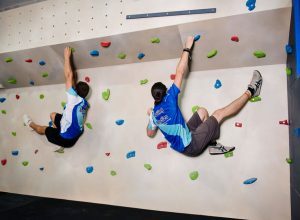 Aware of the demand among North Shore residents and their families for a local fitness centre where kids and adults can enjoy healthy and fun activities, Moving Bodies Centre was opened in April 2012. The Centre, complete with indoor heated swimming pool, offers programs outside the school system that complement your family’s lifestyle. 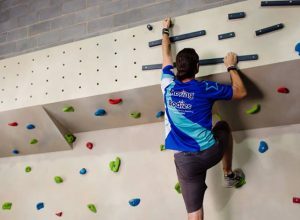 Our aim for all who attend our programs is to enjoy staying fit in a supportive, safe and fun environment. 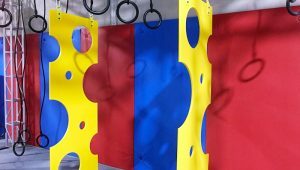 Our fitness classes include : kids gymnastics and fitness classes, adult fitness and pilates classes and learn to swim programs for kids and adults. 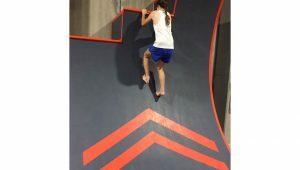 We are also one of the North Shore’s biggest kid’s birthday party venues specialising in gymnastics parties, indoor softplay parties, and parkour and Ninja warrior parties. Our indoor play centre incorporates two areas catering for children from 0-2 years of age and 3-11 years of age. It is also the perfect all-weather venue for indoor kids birthday parties. 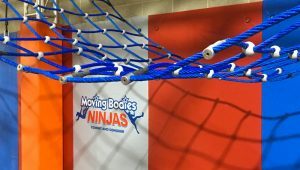 In 2018 our exciting indoor Ninja Warrior and parkour courses opened and are available for kids’ parties. Alternatively, our mobile birthday party equipment is available for hire and we deliver (and setup) at your home or birthday party venue. 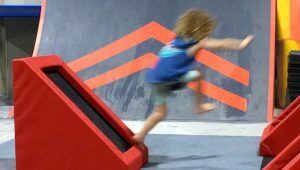 At our brand new indoor parkour centre we offer kids parkour classes from ages 5+ from beginners to advanced. 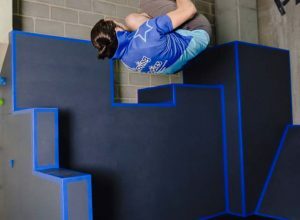 Our indoor parkour course is open to adults and for kid’s parkour parties and features a variety of different levels of obstacles that you can jump, climb, swing, hang, roll and more! 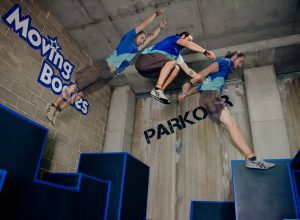 A spider wall, climbing wall, a peg wall plus 4 warped walls are all part of our parkour area! 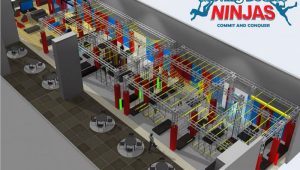 Take a virtual tour of our parkour centre and Ninja warrior course. 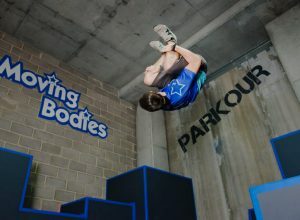 Our school holiday vacation care programs are a huge part of the family services offered here at Moving Bodies and include gymnastics school holiday clinics, parkour theme sessions, meditation and yoga, and indoor soft play fun. We are also the Sydney vacation care incursion program specialists. 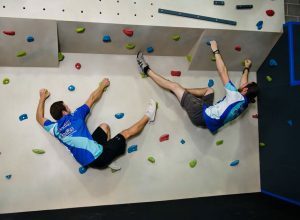 We come to you at your workplace, school or community centre and run fun-filled school holiday clinics of your choosing. Catering for children of all school ages our workplace school holiday programs can include gymnastics, ball sports, athletics, games and other activities.